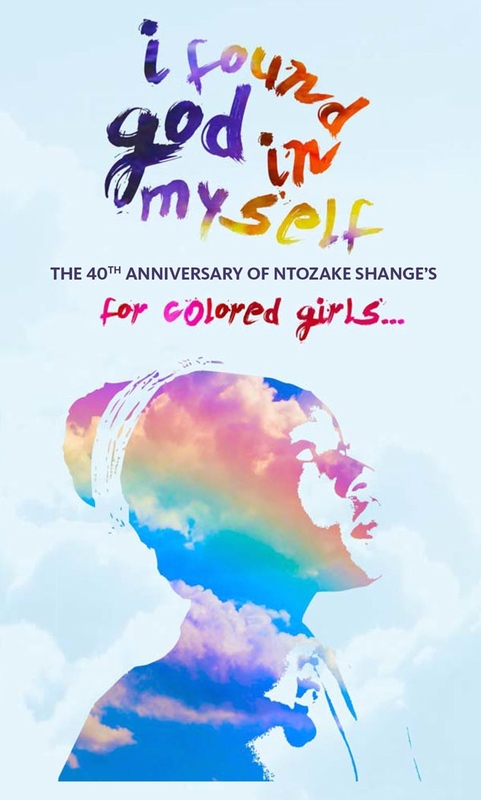 SEPTEMBER 2—The New York Public Library’s Schomburg Center for Research in Black Culture will kick off its fall season with the dynamic introspective exhibition, i found god in myself: the 40th anniversary of Ntozake Shange’s for colored girls, a multimedia artist collaboration celebrating the 40th anniversary of the groundbreaking choreopoem/playfor colored girls who have considered suicide/when the rainbow is enuf. The exhibit will open to the public on Friday, September 19 in the Center’s Latimer/Edison gallery. The Schomburg Center is located at 515 Malcolm X Boulevard in Harlem, New York. Supplementing the exhibition is archival material that traces the journey of Shange’s text from its very first performance at a California bar nearly 40 years ago to its critically acclaimed run on Broadway. In similar spirit, i found god in myself-related pieces will be found on displayat two nearby satellite locations, The Sol Studio and La Maison d’Art, both in Harlem.